Palm Trees Direct is Pinellas Counties largest palm retailer. We are a full service landscape company with a fully stocked nursery specializing in large and small palms, plants and trees. We offer fast and affordable delivery and installation. We pride ourselves on quality and competitive pricing. We hand pick all of our palms and plants and bring in new stock daily. We have been in business since 2005 and enjoy a reputation for honest and dependable service and extremely fair prices. Our new location at 8440 Bay Pines Blvd in St Petersburg contains almost a full acre of premium South Florida grown palms, plants and trees. 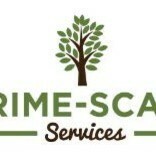 Prime-Scape Services is recognized as a premier full service residential and commercial landscape maintenance services company in the greater Tampa Bay area. Always committed to quality, honesty and integrity, we have been recognized for our outstanding work in municipal and commercial markets, and for our preparedness and logistical excellence as a first responder during storm and major weather-related events.With our in-depth knowledge of local conditions and first-hand experience in the markets we serve, every client benefits from our highly talented teams of leading landscaping professionals. Our project managers, horticulturalists, landscape architects, estimators, irrigation technicians, designers, account managers, foremen and business management specialists are deeply dedicated to providing world-class landscaping and construction services. Company name: Tru Perfections Owner: Michael Morgan Licensed and Insured Certified: (C.P.R Infant, Child and Adult) (Aerial rescue) Power lines (Line clearance) (Minum aproach distance) TRU PERFECTIONS offers a variety of services and we strive to meet your all around needs. We also offer FREE ESTIMATES! Don't hesitate to contact us with any questions, concerns, or even just for a consultation. Treeology Tree Service is a family owned & operated, full service, tree care company. 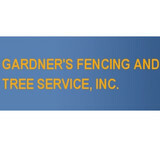 We provide free estimates & yard analysis, and we have been proudly serving the Pinellas County area for over 30 years. We strive to offer quality work at fair prices, and to provide prompt, reliable, and courteous service. As consumer-business owners we are confident that we can meet our client's expectations. Proud members of Angie's list (tm), TCIA, ISA, and an accredited A+ BBB member We accept all major credit cards, and financing is available. Paul’s Tree Service was established in 1973 and became incorporated as Paul Heyman’s Tree Service, Inc. in July 2005. Our Goal is to preserve the integrity of majestic trees and maintain the health of all plants and trees. We are licensed in Manatee and Sarasota counties, as well as, the city of Bradenton and the city of Sarasota. Our company is insured with general liability and worker’s compensation. We have a Certified Arborist on Staff. Equipment Fleet consists of: 65 foot bucket truck, Loader truck, Large and small stump grinders, Chipper and Tractor. We specialize in hazardous tree removal, general trimming, raising and removal of all trees as well as stump and root removal. All cleanup is included and 100 percent guaranteed. FREE ESTIMATES PROFESSIONAL Axe To Grind Tree Service is Owner Operated / Fully Licensed & Insured. We maintain a growing stable of certified and insured arborists and each undergoes continuous training. Our tree services are done in a timely manner and at affordable prices. All work is performed according to American National Standard Institute, ANSI A300 guidelines. The team at Arbor Bay Tree Service is committed to delivering quality and satisfaction with each and every project. We are committed to delivering trouble free results that ensure your trees and landscaping look its best the entire year round. We strive to deliver these professional tree trimming, tree pruning, tree removal, stump grinding, tree protection, and arborist consulting services in a manner that minimizes any disruptions to normal property activities. The team at Arbor Bay Tree Service in South Tampa is a talented group of professionals with a diverse set of disciplines. From experienced tree and landscape professionals, seasoned tree maintenance staff, certified arborists, and our friendly customer service department, we present the highest level of responsiveness and reliability. When searching for “ tree service St Petersburg FL ”, you will find several options but none as good as On Demand Tree Service. Our team of tree specialists has spent years perfecting our tree trimming, removal and stump grinding services so that our customers will get only the best! You see, to us, it is not about making a quick dollar but about cultivating a long last customer base that trusts us as their St Petersburg tree service experts. From stump grinding to hedge pruning and tree removal, the team at On Demand Tree Service performs various jobs for home and business owners. Receiving quality work at your home or business doesn't have to break the bank. View our offers to find out how to save money with us on tree services. Receiving quality work at your home or business doesn't have to break the bank. View our offers to find out how to save money with us on tree services. The personalized customer experience is a very common practice in Europe, but is very often missed here in the United States. We are a family owned and operated business. If you believe in supporting family owned businesses, you have discovered a rare find with us. We are ethical, well reviewed, and an owner is always onsite to ensure that your project is completed to our high expectations. We come from a European background with our experience being derived from growing up working in Scotland and England. We have worked for people as prestigious as the Disney family as well as people as important as the everyday working middle class. We treat every home owner and business owner with the same respect and fairness we would our own family. With Moore & Smith Tree care LLC you will receive a personalized and caring European approach directly from the owners. We hope that you feel like part of the family by the time we have completed your project. Our free estimates on tree trimming, pruning, removals, and more should give you a precise understanding of what your project will set you back. Our main objective is to ensure the conservation of trees. This involves a thorough explanation to our clients as why certain works are necessary leading through to modern, high quality tree pruning and removal. We believe every customer deserves quality and professional work, regardless of budget. Contact us at (813) 956-8733 for service anywhere in Tampa. Tree Doctors provides superb tree services to businesses and residents of the Lutz and Land o' Lakes areas. 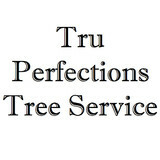 Specializing in tree trimming and tree removal, Tree Doctors prices cannot be beaten. Whether a residential or commercial landscape need, Bradford Landscaping is your one phone call company in Clearwater, FL. Bradford can handle all phases from start to finish, with certified horticulturists. We have many award winning projects. Your Saint Petersburg, FL tree service professional or arborist might work in conjunction with another landscape professional to create a seamless landscape design. Here are some related professionals and vendors to complement the work of tree services: Landscape Contractors, Landscape Architects & Landscape Designers, Garden & Landscape Supplies. Find tree service professionals on Houzz. Look in the Professionals section under Saint Petersburg, FL tree services. You can look through portfolios and read reviews to see what past tree care clients have to say.